Sepp Blatter’s announcement on 2 June that he will step down as President of the Fédération Internationale de Football Association (FIFA) was met with reactions of disbelief, excitement and uncertainty from across the football world. Only a few days earlier, he had been re-elected by nearly two thirds of the 209 national member associations. In 2010 the then Guyana Football Federation (GFF) president, Colin Klass, told promoters of a game his national team was due to play in London that he needed first-class tickets to come to London at a cost of US$10,576. Although Klass never got the tickets the incident shows how domestic officials from poorer economies are tempted by the five-star lifestyle of the international football executive. It took FIFA a year to suspend Klass. To find out more about such risks and scandals in small FAs, continue reading here. 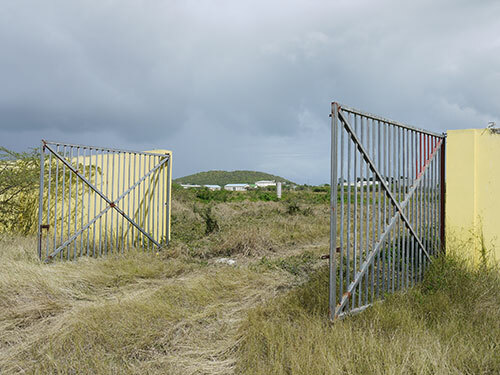 The site of a mismanaged Antigua and Barbuda Football Association project. FIFA officials were forced to suspend support to the project over disappearing funds. A large portion of the 133 votes Blatter received are presumed to have come from the small, peripheral member associations who hold little sway on the pitch, but receive equal if not more attention off the pitch from the incumbent. These votes are also presumed to have come in blocks, from the Caribbean Football Union members, and the confederations that govern football in Africa (Confederation Africaine de Football) and Asia (Asian Football Confederation). With the new Presidential elections expected to be held between December 2015 and March 2016, it remains to be seen how these voting patterns and priorities will change. As each national association receives annual Financial Assistance Programme funds of US $250,000 from FIFA, as well as hefty bonuses during World Cup years (US$500,000 following the 2014 World Cup in Brazil), many have a vested interest in maintaining an arrangement that asks no questions. In those small football associations at the bottom of FIFA rankings, where US$750,000 can go a very long way, participation in the finals of a major tournament is usually accepted as impossible. These associations often have a handful of players at best with any experience of playing professionally, and the imperative is on grassroots development. While national teams go largely ignored, their executives, as inexperienced off-the-pitch in international football as their players are on it, can rise to the well-remunerated upper echelons of FIFA whilst at times completely oblivious to the standards of governance needed at the national level. FIFA should daily monitor all member associations and provide support for improved governance. FIFA should also provide Financial Assistance Programme funds to the 209 member associations only when detailed annual financial accounts and the results of executive votes and personnel changes are made available to the public via the FIFA website. The months between now and the forthcoming FIFA presidential elections will be a critical opportunity for FIFA to show just how willing it is to reform.